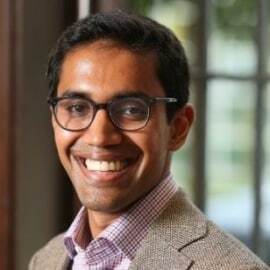 Vik Sasi is an Associate at American Family (AmFam) Ventures, a $200M fund focusing on InsurTech, Connectivity/IoT and Data & Analytics. Prior to joining AmFam, Vik began his career as an Analyst for the Clinton Foundation’s Health Access Initiative, subsequently serving as a Strategic Advisor to the Ministry of Health, with additional stints in investment banking at Morgan Stanley and early-stage venture capital at Healthbox. He holds a BA in Biology from Washington University in St. Louis and an MBA from the University of Chicago Booth School of Business.